Surreal places for your bucket list when you’re young, broke and adventurous. A land like no other, with exotic beaches, breezy mountain ranges, breadth taking views, warmth smiles of and the collaboration of a multi cultures and traditions. A country known for its special taste buds. The wildlife, the beaches, the waterfalls, the hill country, the tea estates, the paddy fields would make you fall in love with blessed island. Another cool city for your bucket list. Budapest, known for the Danube River which divides the city into two. A country known for its spectacular views. Tourists often roam on the leafy Buda side during the day, and the party-goers on the Pest side in the evening. A place to travel if you’re truly looking for adventure. The Marvelous City, some may call it, Rio de Janeiro is for those who are spiritual in the mind or searching in the soul. Many Christians around the world consider this city just as important a place to visit in their lifetime as Mecca or Jerusalem. And that is truly marvelous. Get ready for a mind blowing trip that will have you immersed in the culture of spirituality and faith. The outer look of the city would look just like any other large. A single trip to the Grand Palace or a shopping-spree in Bangkok will make you understand what’s so special about this often overlooked city. Bangkok takes great pride in its’ royal family and royal grounds. The palace is completely indescribable unless you have seen it first hand and even then you can’t believe it. If you’re looking for a surrounding with crystal clear beaches, this is it. Maldives, another beautiful destination for a relaxing vacation. What makes this place special is its breezy surrounding and the welcoming culture. The crystal clear waters and the sandy shore would truly make you feel like you’re in paradise. This surely is a popular destination among traveler. Travel the world with peace of mind. MyTravel, a special travel policy to suit for the wanderer within you. Find out more on 011 4 883 883. Heat waves could easily stress out your body’s cooling system. When heat waves are combined with other stresses such as; hard physical work, loss of fluids or even fatigues, it could lead to many serious illness, disability or even death! Here are some tips which you should keep in mind about these dangerous heat waves especially during this season. Water is crucial to helping the body adjust to high temperatures. The rate of water intake must be equal to the increased rate of water loss by perspiration to keep body temperature normal. When it’s hot, drink plenty of water! Overheating heat waves could result in heat cramps: Heavy sweating drains the body of salt, which cannot be replaced by simply drinking water and this could lead to painful cramps in arms, legs, or stomach while on the job, or later at home. Here’s what you should do if you experience heat cramps: Move to a cool area at once. Loosen clothing and drink cool, lightly-salted water or a commercial fluid replacement beverage. Seek medical aid if the cramps are severe, or don’t go away. Heat exhaustion is another health concern involved with overheating heat waves. Inadequate water and salt intake causes the body’s cooling system to break down. Symptoms include heavy sweating, cool, moist skin, body temperature over 38 degrees, weak pulse, and normal or low blood pressure. Get medical help immediately! Heat exhaustion can lead to heat stroke, which can kill. Move the person to a cool, shaded area. 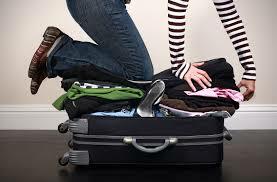 Loosen or remove excess clothing. Provide cool, lightly-salted water. Fan and spray the victim with cool water. Heat stroke can kill a person quickly! Once the body uses up all its water and salt, sweating ceases. Temperature can rise quickly. You can assume a person is suffering from heat stroke if their body temperature is over 41 degrees. Make sure you protect yourself from these dangerous heat waves and in case you notice any of the above symptoms, seek immediate medical help.